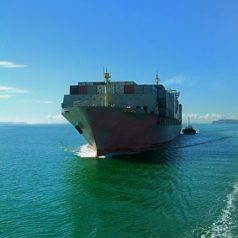 Telemar provides specific Cobham Ka-Band antennas for Inmarsat Global Xpress (GX) -Fleet Xpress (FX) in the maritime – or for the Telenor Thor 7 High Throughput Satellite network. The Fleet Xpress solution is composed by high throughput GX satellites operating on Ka-band with the high redundancy and mature FleetBroadband satellites operating on L-band. 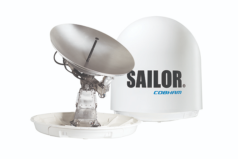 The Sailor 60GX is the smallest, lightest antenna for the Inmarsat Fleet Xpress. It is the fastest tracking antenna available in the 60cm class. SAILOR 60 GX is delivered with the included SAILOR GX Modem Unit (GMU) and SAILOR Antenna Control Unit (ACU) ensuring quality and reliability throughout the system. 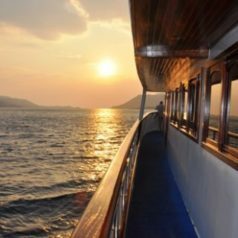 SAILOR 100 GX is an advanced 3-axis stabilized Ka-band antenna system and allows to benefit in full of the power of FX for business applications, vessel operations and crew welfare. Sailor 100GX is characterized by the advanced Tracking Receiver technology features enables to verify the right satellite in less than a second. The THOR 7 satellite provides regional coverage and utilises high-powered spot beams, enabling high level performance for mobility applications. Is the lightest and compact 3-axis stabilized Ka-band antenna system for the Europe only THOR 7 High Throughput Satellite (HTS) satellite network. Represents the top performing Ka system, allowing to enjoy in full the power of broadband for business applications, vessel operations and crew welfare of Telenor Thor 7 system.